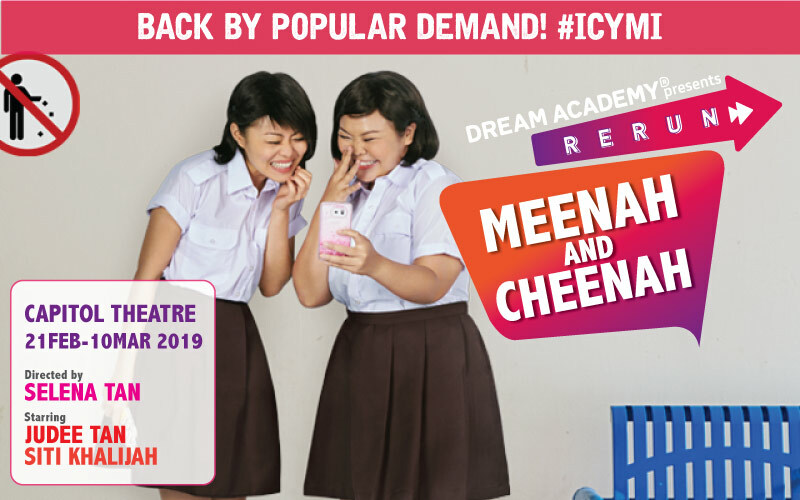 Starring Siti as Meenah and Judee as Cheenah, get ready as both actresses return to tickle audiences and tackle racism in this highly anticipated rerun and collaboration. 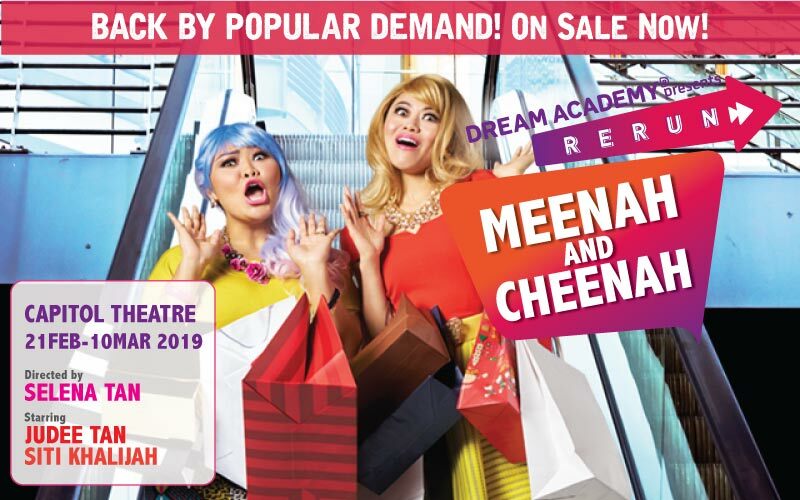 Directed by Dream Academy Artistic Director Selena Tan and written by Alfian Sa’at, Meenah & Cheenah features a series of sketches poking fun at characters from both fiction and real life, from the legendary Hang Li Po and her handmaiden, the evil Pontianak of Malay folklore, and a dance-off as Meenah and Cheenah attempt to prove which one has the superior taste in music and moves! Don’t be shy – this is a no holds barred show where just about anything goes and all your burning questions will be answered, from how appropriate (or appropriative) certain costumes are during Racial Harmony Day or asking about etiquette at various cultural celebrations. 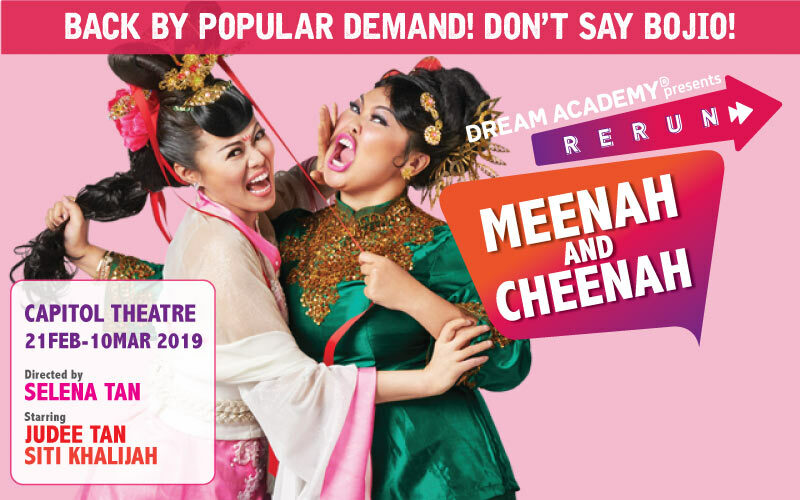 Celebrating Singapore’s multicultural landscape with humour and a bellyful of laughs, there’s no better way to roll into 2019 on a high notes and join Siti, Judee and Dream Academy on this hilarious journey that will have you laughing till your dentures fly out (not kidding – it’s actually happened during a show).